Wondering how different Nutritional Deficiencies Affect Health? It has been quite alarming that most people living in a modern era has different views of nutrition and how they choose the food they eat. The word “instant” is almost everywhere trying to market a less nutritious diet. Chips, sodas, burgers, and fries are always on my list for my daily meal. I am not a fan of home-cooked meals so I just grab any instant meals and go. After the winter vacation, I came back to Dubai and went for a check-up. I have been having back pain for months and was advised by my doctor to take pain relievers for it. I easily get sick and was constantly ill. The medicines didn’t help and I was totally depressed. I came to know the real cause of my dilemma which is Vitamin D deficiency when a friend introduced me to NAET. I didn’t know that nutritional deficiencies affect health greatly. With regular NAET sessions, I noticed a huge difference. I started feeling better and better every day. Happily, I don’t have to take pain relievers anymore. Above all these, I definitely see a healthier version of me. A new age of nutritional deficiencies has descended across the UAE, creating specific illnesses of their own and worsening the effects of chronic diseases, said experts. The majority of these deficiencies occur because people live affluent lifestyles while consuming high-calorie foods that are devoid of essential nutrients, doctors and dieticians said. The focus on popular diets and health fads also plays a role in increasing the shortage of nutrients. Moderns diets simply do not support a healthy lifestyle, especially as they contain an abundance of fast food and packaged items,” he said. Of course, when we encounter a person with lifestyle disease, it means that they have been eating wrong for a while. Nutrient deprivation is due to poor quality of food. Most people eat an unbalanced diet, consisting largely of processed food loaded with artificial additives. And nowadays, we can’t really can’t consider some items we buy to eat to be called “food” at all. 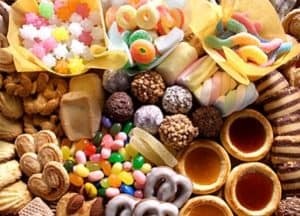 These include refined sugars, carbohydrates (white bread and pastries) artificial chemical preservatives, flavorings and dyes, improperly fermented soy products; coffee and soda; junk foods (chips and dried snacks); pasteurized dairy and most vegetable oils. A better term for such term items is “fake food”. Fake foods do not give the body what it needs to maintain its vitality. They also strip the system of valuable nutrients and add compounds that are harmful, so you end up depleting your system even more. Improper diet hinders the body’s ability to resist internal and external threats and injuries. This explains why nutritional deficiencies affect health. Vitamins are organic compounds that are needed in small quantities to sustain life. Most vitamins need to come from food because the human body either does not produce enough of them, or it does not produce any at all. A vitamin is both an organic compound (which means it contains carbon) and an essential nutrient that the body cannot produce enough of and which it needs to get from food. Vitamins are essential to normal metabolism. If we do not take enough of any kind of vitamin, certain medical conditions can result. Minerals play an important role in the body. It acts as on-off switches in the body. For example, to contract a muscle, calcium is necessary and to relax the muscle, magnesium is needed. Minerals and vitamins are also important in manufacturing things we need such as serotonin (a neurotransmitter that is responsible for maintaining mood balance). If you don’t have calcium, magnesium, zinc, iron, copper and the necessary vitamins, you can’t make serotonin and if you don’t have serotonin, it would result to depression. The body needs many minerals which are called essential minerals. Essential minerals are divided up into major minerals (macrominerals) and trace minerals (microminerals). These two groups of minerals are equally important, but trace minerals are needed in smaller amounts than major minerals. A balanced diet usually provides all of the essential minerals. Iron is the main component of red blood cells, where it binds with hemoglobin and transports oxygen to cells, thus, making it the most common and widespread nutritional disorder in the world according to the World Health Organization. The quantity of red blood cells is decreased, and the blood becomes less able to carry oxygen throughout the body. 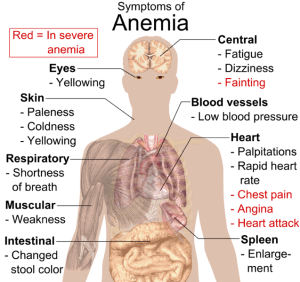 The most common consequence if iron deficiency is anemia (Iron Deficiency Anemia). Some people are suggested to take Iron supplements, however, you should NEVER supplement with iron unless you truly need it. Too much iron can be very harmful. Also, low iron level could cause a child to experience symptoms such as apathy, short attention span, irritability, impaired memory and reduced ability to learn. A recent study indicates that Iron deficiency interferes with dopamine activity and and may contribute to ADHD. Vitamin D is an extremely important vitamin that has powerful effects on several systems throughout the body. Unlike most vitamins, vitamin D actually functions as a hormone, and every single cell in your body has a receptor for it. Your body makes Vitamin D from cholesterol when your skin is exposed to sunlight. It’s also found in certain foods such as fatty fish and fortified dairy products, although it’s very difficult to get enough from diet alone. Vitamin D deficiency causes Rickets in children and will precipitate and exacerbate osteoporosis, and fractures in adults. 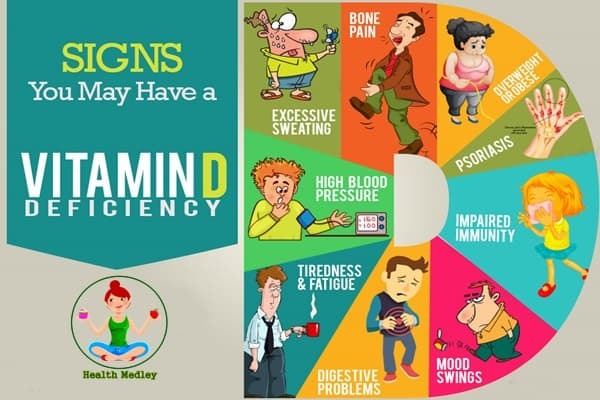 Vitamin D deficiency has been associated with increased risk of common cancers, autoimmune diseases, hypertension, and infectious diseases. Also known as Cobalamin, Vitamin B12 is a water-soluble vitamin and is essential for blood formation, as well as for brain and nerve function. Vitamin B12 is only found in animal foods. Therefore, people who do not eat animal products are at an increased risk of Megaloblastic Anemia (a blood disorder that enlarges the red blood cells). 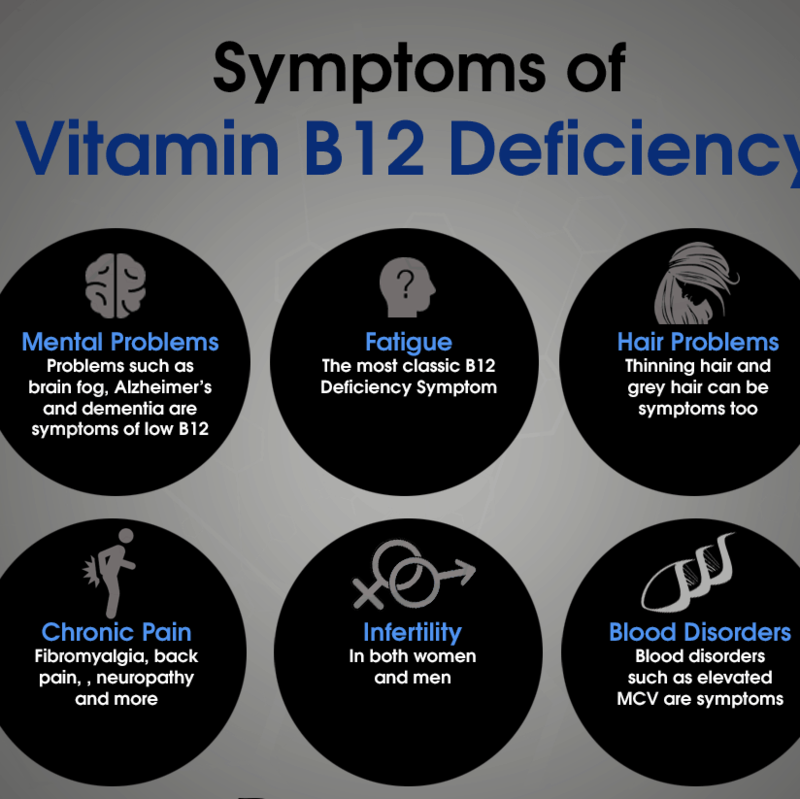 Vitamin B12 also plays a role in preventing depression, mood disorders and autism symptoms. Heart palpitations and shortness of breath. Constipation, diarrhea, loss of appetite, or gas. Nerve problems like numbness or tingling, muscle weakness, and problems walking. 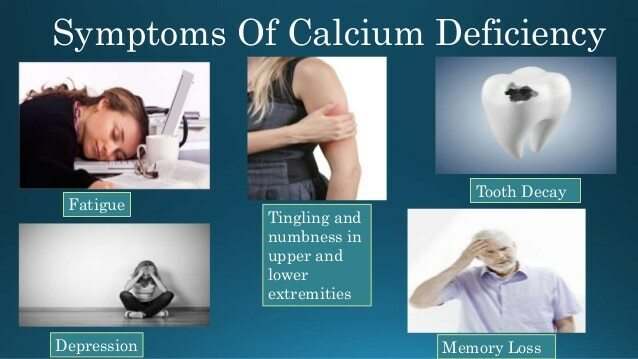 Additionally, calcium plays a role as a signaling molecule all over the body. Without it, our heart, muscles, and nerves would not be able to function. easy fracturing of the bones. Vitamin A helps form and maintain healthy skin, teeth, bones and cell membranes. It is also known as Retinol because it produces the pigments in the retina of the eye and promotes good vision, especially in low light. Vitamin A deficiency is an endemic nutrition problem throughout much of the developing world, especially affecting the health and survival of infants, young children, and pregnant and lactating women. Keratomalacia (an eye disorder that results in a dry cornea). Magnesium deficiency or Hypomagnesia refers to inadequate intake of dietary magnesium or impaired absorption of magnesium, which can result in numerous symptoms and diseases. A mineral is dropped into your tongue. If it tastes like water or sweet, you are deficient in it. If it tastes metallic or bitter, you don’t need it. Place the ones that don’t taste really bad in your morning juice. Recheck every week until each mineral deficiency is corrected. When one of the minerals starts tasting really bad, you don’t need it anymore. Making a single cell work is the key to get better from a chronic disease. If you give the body the things that a single cell needs to work, the body often has the power to heal all of the cells of the body. To date, I have never seen a patient with chronic disease that is not mineral deficient, and most are vitamin deficient as well. The next important thing to recognize is the importance of your liver/gallbladder. The gallbladder is a storage tank for the bile made by the liver and then becomes filled with sludge, it doesn’t function normally. It then becomes a breeding ground for all kinds of infections due to “neurotoxins” (poison) making you sick. The key is to clean the gallbladder and not to remove it. Same is true with the liver. If your liver is sick, it would result in chronic diseases. 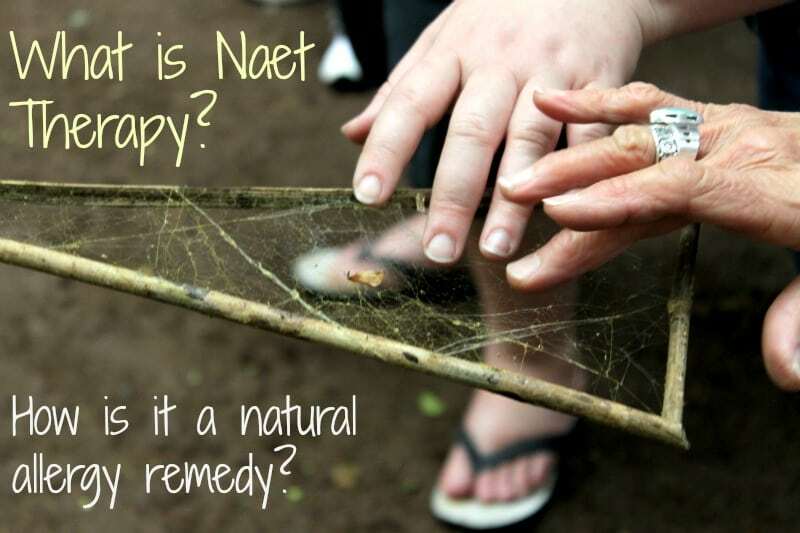 NAET goes beyond standard treatments. NAET increases your overall immune system and enhances your body’s ability to absorb needed nutrients to avoid deficiencies. One thing that contributes to deficiencies is a person being allergic to food groups that provides a certain micro-nutrient. We need not avoid the allergens because, with NAET, we don’t require medications or long term avoidance, instead NAET treats the root cause of allergies by desensitizing the body to problematic substances.